Coenzyme Q-10 (as ubiquinone) performs several important health supporting roles in the body. 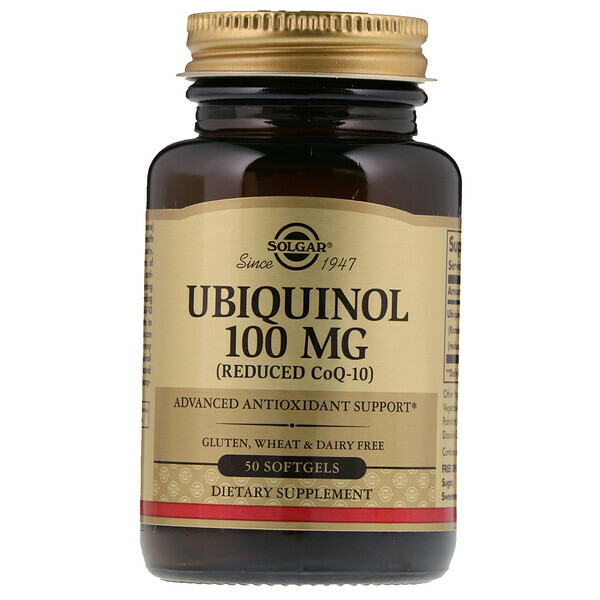 Ubiquinol (the reduced form of CoQ-10) provides advanced antioxidant support. By supplementing with Ubiquinol, you are providing your body with a form of CoQ-10 that is in a ready to-use state to fight free radicals. Free radicals can cause oxidative stress which may damage cells. 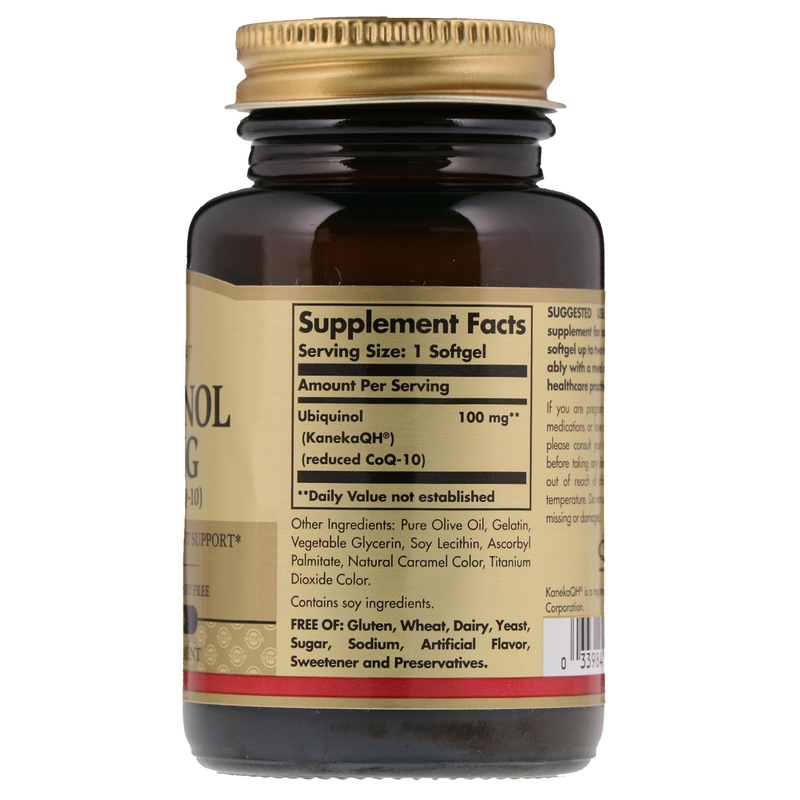 Solgar's Ubiquinol 100 mg is offered in oil-based softgels to ensure optimal absorption and assimilation. As a dietary supplement for adults, take one (1) softgel up to two times daily, preferably with a meal or as directed by a healthcare practitioner. Pure olive oil, gelatin, vegetable glycerin, soy lecithin, ascorbyl palmitate, natural caramel color, titanium dioxide color. If you are pregnant, nursing, taking any medication or have a medical condition, please consult your healthcare practitioner before taking any dietary supplement. Keep out of reach of children. Store or at room temperature. Do not use if outer bottle seal is missing or damaged.